A regency debut, you shouldn’t miss! Fans of Jane Austen’s Pride & Prejudice should not miss this debut by Jess Heileman. With an outspoken and sometimes brash heroine, a taciturn hero, and condescending relatives, Abigail has shades of the Austen favorite. Yet, it’s completely original with a hero who falls fall in the oft-snubbed nouveaux riche, and a heroine who doesn’t hesitate to immerse herself in he daily life and chores of a poor tenant family. When Abigail Blakeslee, daughter of a wealthy lord, attends a house party with her aunt and cousins, she’s surrounded by everything she feared—gossip, matchmaking, attentions of questionable gentlemen, and more. After an intense first encounter with the son of Timpton House (and her cousin’s suitor), Abigail consoles herself with the promise of the beautiful gardens. Yet there’s more to Edwin Stanton than what Abigail first assumed. Besides, who is she to judge when she carefully guards her own secrets? 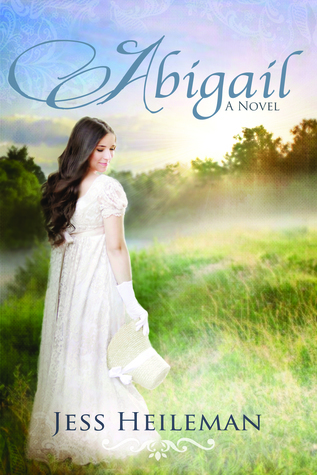 Heileman’s story captivated me with Abigail’s goodness and soft heart, the tension between her and her cousin, Edwin’s sister’s obvious efforts and matchmaking, and growing attraction to a man Abigail should steer away from. Several times I wanted Edwin’s point of view, but the first person narrative works well with Abigail’s innocence in some areas and strong opinions in others. Readers get to unravel the mystery and discover answers right along with her.